The spiritual practices of Lent have ended, Holy Week now seems far away, and the joy of Easter has moved into that season of the year when new life in nature is exploding all around us. But I’m still fixated on Easter, and the magnificent music of George Frideric Handel’s Messiah lingers in my heart. I had the opportunity to sing in the Messiah several times as a teenager, not to mention the dozens of times we’ve sung the Hallelujah Chorus in Easter services over the years. This Easter I worshipped at Old South Church in Boston, where each worshipper was given a white strip of cloth. Whenever the words “Alleluia” or “Hallelujah” were said or sung during the service, we were all asked to wave our white cloth in the air. It was glorious, and the entire service was permeated with one hallelujah after another. Huge streamers, waving cloths, a bagpiper, choir, organ, brass, call and response during the sermon, a time just for children, offering our gifts, blessing the marathon runners and each other. It was one huge God moment! It also reminded me that we often use the word “liturgy” to talk about what we do in worship. Liturgy is how we order worship. Many churches have design teams that spend countless hours crafting multi-sensory and participatory worship meant to touch our hearts and invite us to be transformed. Do you know what the word liturgy actually means? “Liturgy” comes from the Greek word, leitourgia, which we often translate as the “work of the people.” However, leitourgia literally means “an act of public service.” So the liturgy of worship is not entertainment. It is not something that worship leaders “do” on behalf of the congregation. Nor is liturgy designed simply to make us feel good. The liturgy of worship is meant to inspire us to be public servants. After all, in worship we are not the audience and God, the choir, band, preacher, or organist the actors. Rather, congregation members are the actors and God is the audience. Could it be, then, that the future of our world begins right here, in our places of worship, where we do liturgy, which is actually public service? Could our future be activated when the gathered faith communities in Iowa, the United States, and every country in the world praise and glorify God so that creativity leads to renewal, which leads to justice, which leads to peace? For we are not here to be entertained by the preaching, drama, music, and prayers. We are here so that hearts touched and transformed through worship will share the good news in such a way that others will experience wholeness and be prompted to act justly in their own lives. Easter worship at Old South Church culminated with the Hallelujah Chorus, and everyone was invited to sing along. Whenever I sing the Hallelujah Chorus, I remember with wonder and humility the story of how this magnificent choral piece was composed. George Frideric Handel was born in Germany in 1685, within a month of another great composer, Johann Sebastian Bach. 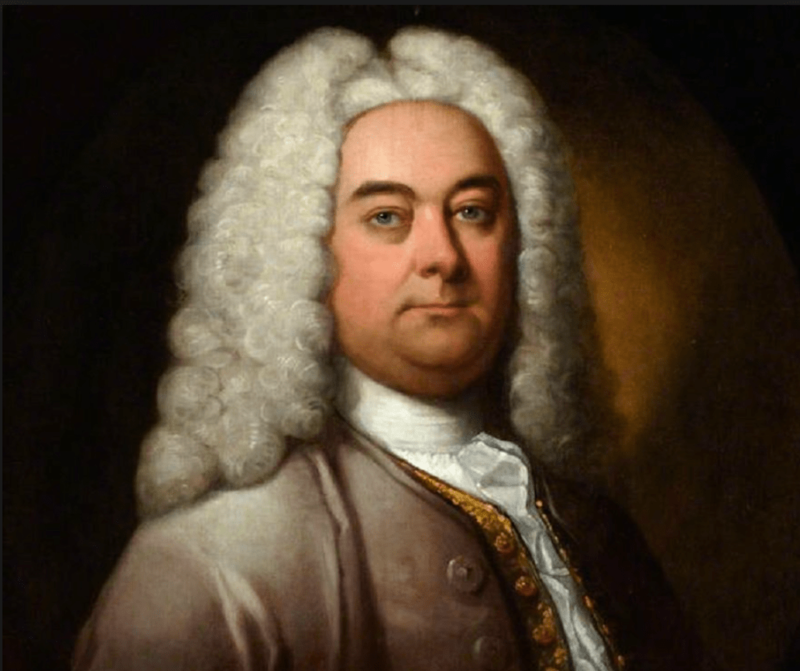 Handel’s father wanted him to become a lawyer, so when he realized that all Handel cared about was music, he prohibited George playing or being anywhere near music. George’s aunt gave him a clavichord as a child, but they had to keep it in the attic so his father could not find it. I can just imagine the young Handel rushing upstairs as soon as his father left for work so he could pursue his God-given talent for music. As the story goes, when Handel was nine years old, he begged to accompany his father to Weissenfels and even ran after the carriage until his father had no choice but to bring him along. In one version of the story, the young George climbed into the organ loft to play the organ and was so magnificent that the organist asked him to play a postlude after the Sunday service. In another version, George made friends with the court musicians, who let him play the organ. In any case, the Duke was so impressed that he strongly encouraged Handel’s father to let him study music. Handel’s teacher, Friedrich Wilhelm Zachow, was a church musician who taught Handel composition and how to play the organ, harpsichord, violin, and oboe. By the time he was ten years old, Handel was writing choral and instrumental music. In 1712 Handel moved to London, where he composed popular operas and eventually became the musical director of the Royal Academy of Music. Years later, however, the 56-year old Handel felt like a failure. His works had not achieved the fame of some of his contemporaries and those immediately before him. Handel was in poor health and seemed to owe money to everybody in London. One day in the summer of 1741, Handel was walking the streets of London, extremely discouraged, wondering where his next meal would come from, and feeling that his life had been wasted. When he came to the door of his apartment, Handel found a package waiting for him. It contained an invitation to accept the commission to write an oratorio for a collection of Scripture verses. 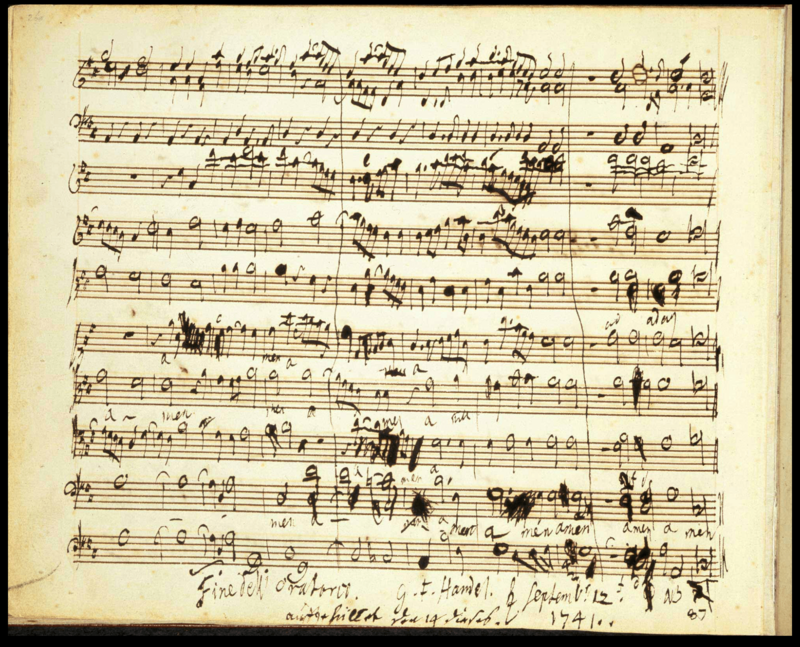 Handel locked himself in a room with a sheaf of paper and dared to write at the top of the page, “Messiah: An Oratorio” by George Frideric Handel. Then he began to compose. For the next twenty-six days, Handel never left his house and seemed to give no thought to food or rest. What he produced was 259 pages of music. Handel wrote, hoping that he would do more than entertain. He wrote, hoping that through his music the word of God might somehow be heard more clearly and be brought into our lives more soundly. He wrote, hoping that at our greatest point of desperation we might turn and hear the Savior’s voice calling our name. Handel wrote, hoping that we might move beyond worship to justice and peace. He wrote, hoping that through his music you and I might become better people. Every Sunday God challenges you and me to leave worship, not having been entertained but having become better people—people who will go out into the world with the power of the Holy Spirit to witness to the good news of Jesus Christ, become public servants, and change the world. In a religious culture where entertainment is often seen as the only way to get people in the door of the church; in a time when bigger is perceived to be better, and when liturgy is touted as the job of professionals, how might we regain liturgy as public service, the work of the people? How might worship become the shared ministry of clergy and laity, where the goal is not perfection but transformation, where children become our teachers, where an invitation to discipleship is a normal part of worship, and where stories of witness and outreach into the community are regularly shared and celebrated? How can we live, serve, and pray, hoping they and we will be better? I enjoyed reading this so very much. Thank you so much I’m excited to read more. I have to completely with Rev. Jim Nelson. You have stated it so well, that any other comments are superfluous. I have to completely agree with Rev. Jim Nelson. Yes! The call and response of Christian Witness is meant to be inspirational and transformational….not just a transactional economic occurrence! Thank you, Bishop! What a beautiful message Laurie, God certainly guides your hand as you write. Thanks you so much for your words, they challenge me to be a better Christ follower and to make the world around me better by being a “public servant” to all who need my help. Thank you for the reminder that in worship we are all servants doing God’s work! Our focus is not to entertain but to give God glory and praise. !